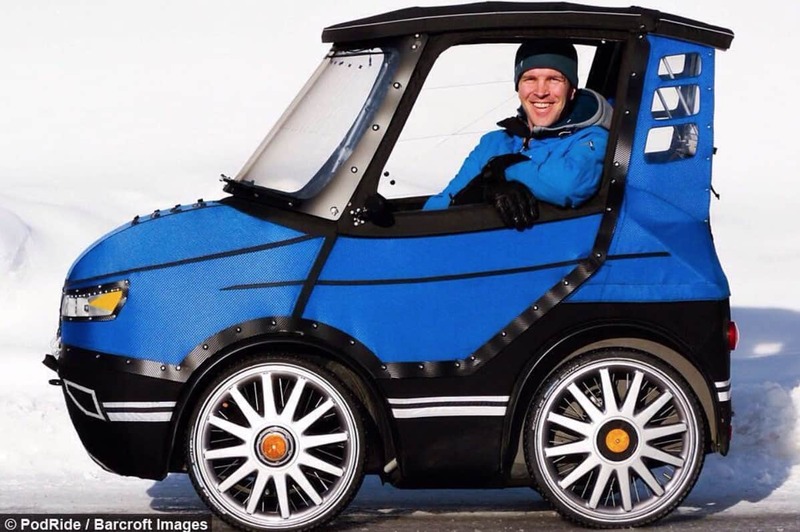 A hybrid of equal parts bicycle and car, the PodRide is certainly a one-of-a-kind mode of transportation that is grabbing the attention of cyclists and car owners alike. The PodRide was created by Mikael Kjellman, an avid bike rider year-round. After years of riding through winter weather conditions, he came up with the idea to blend the environmentally-friendly aspect of a bicycle with the all-weather protection of a car. Thus, PodRide was born. PodRide is unlike anything you’ve seen before. 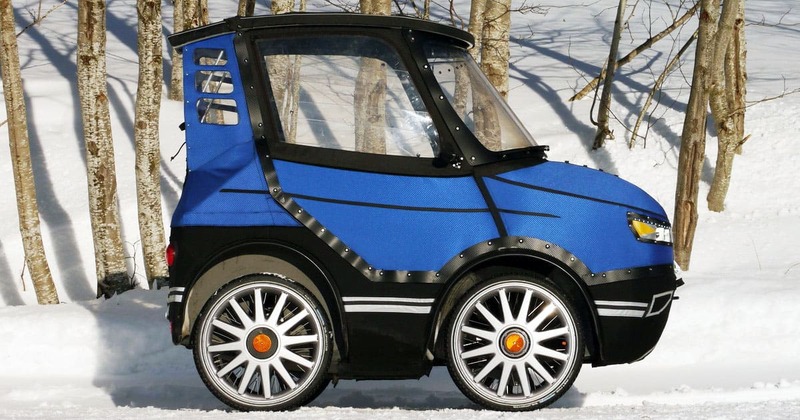 Designed to look like a tiny car, PodRide is complete with four wheels, a “trunk” for storage, air suspension, a small heater, headlights, and windshield wipers. Sounds like a typical car, right? What makes the PodRide so unique is that fundamentally, it’s still a bike; You have to pedal in order for the bike to move. The pedals are similar to those of a recumbent bike, so riders can extend their legs more comfortably while pedaling. With the addition of a 250W electric motor, riders can also expect an assistance of an additional 15 miles per hour. 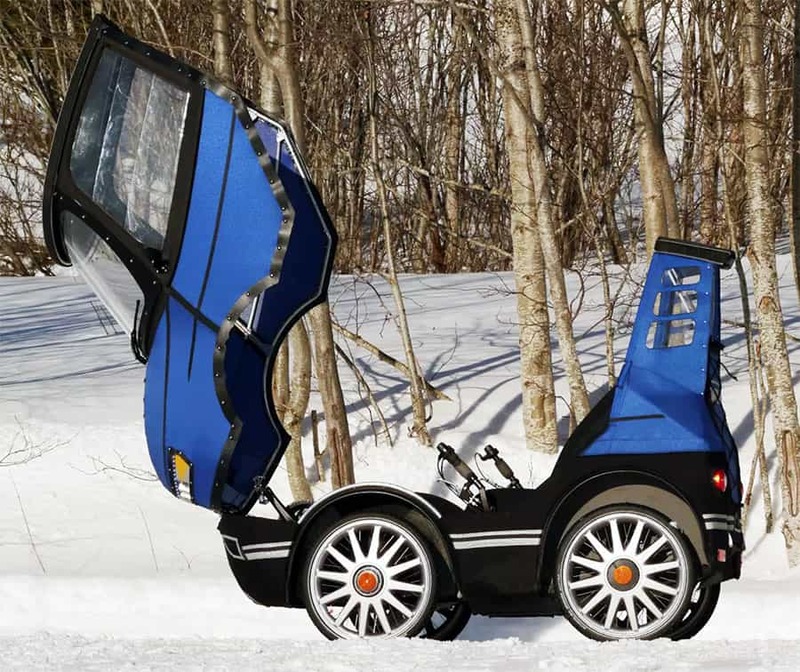 The PodRide is truly all-terrain, and is even capable of driving over snowy roads. It’s been tested on hills, dirt trails, and ice. 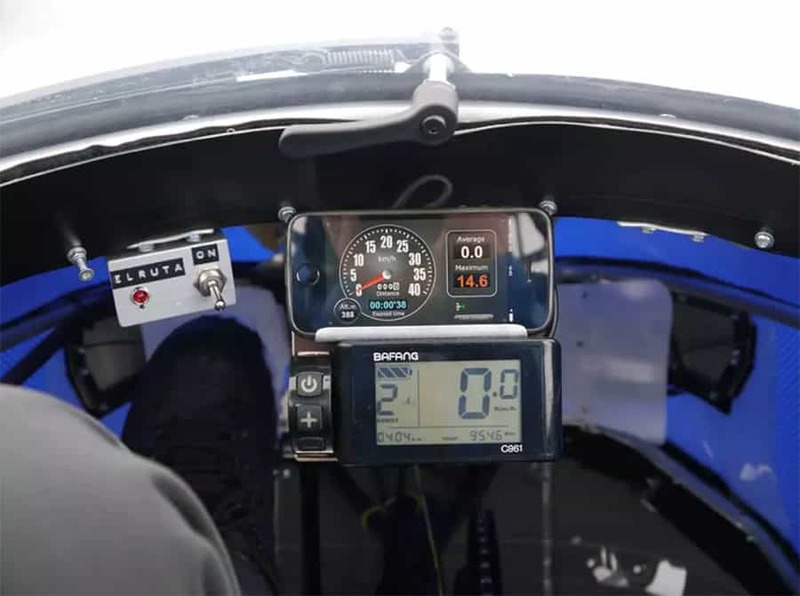 The additional push of the electric motor, paired with the pedaling, makes it possible to push through rougher terrain, all while maintaining control of the bike. A look at the internal dashboard. Global warming is a serious and pressing issue. A recent study came out saying that roughly one-fifth of all US emissions come from cars and trucks. Couple that with the US transportation sector, and you’ll find that vehicles are contributing to as much as 30% of the total greenhouse gas emissions in the US. That’s where electric vehicles (or bicycles) come in. Just think about the environmental impact that inventions like PodRide can have globally. Even if people use PodRide to go and get their groceries, that’s saving the environment from emissions that will stay in the atmosphere for hundreds of years. After going viral in 2016, Kjellman received a lot of interest from people looking to purchase their own PodRide. However, Kjellman never considered the idea that people would want to buy a PodRide when he invented it, so the designs were not compatible with mass production. Kjellman went back to the drawing board and redesigned PodRide so that it would be able to be mass produced, and even added some new features, such as a rear backseat for children. As of right now, the PodRide is crowdfunding for the prototype and production phases. There has not been a set price for purchasing one, but according to their website, a price should be posted as soon as possible. They also prompt you to join their mailing list, if you would like to be the first to know about price and release details. Take a look at PodRide’s prototype video on Cars Insider to see this vehicle in action. Currently, the main marketplace for PodRide is in Europe, but depending on its success, we could be seeing PodRides all across America in the next couple of years. They’re cute, small, and eco-friendly, so no complaints here.